infiniteZest.com: How does the MicrosoftAjax.js provide the basic AJAX functionality? How does the MicrosoftAjax.js provide the basic AJAX functionality? The second list above contains the objects that hold the application related information. A String object, for example, might hold the name of a customer. In addition to the above methods, you have several helper methods. The Type object/class is a global object. 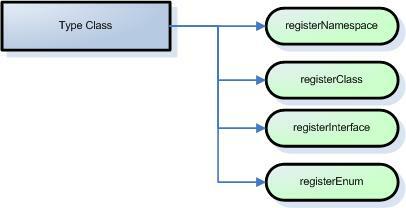 This class is NOT registered with registerClass method, because, this is THE object that contains the registerClass method. Once this object is loaded, new namespaces and classes can be created using the registerNamespace and registerClass methods. 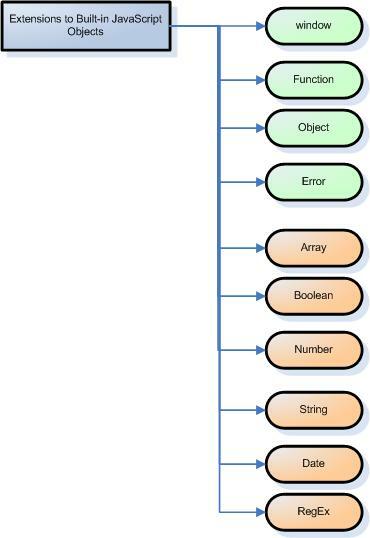 These namespaces each have several classes, interfaces, and enumerations. Let’s take a quick look at the important classes in each of these namespaces. In the MicrosoftAjax.js file, _Application class is defined; and then the Sys.Application is initialized as an object of that class. Hence, only one instance of the Application will be available. The debug class provides the basic debugging functionality from the CLIENT side. You can assert certain condition is true. And traceDump can be used to dump an object. In the above statements, get_events() method is from the Component class and returns an EventHandlerList object. StringBuilder is like the StringBuilder you are familiar with from the server-side .Net class library. You can use append() or appendLine() methods to build long strings and then once you are ready you can use toString() method to get the string out of that. 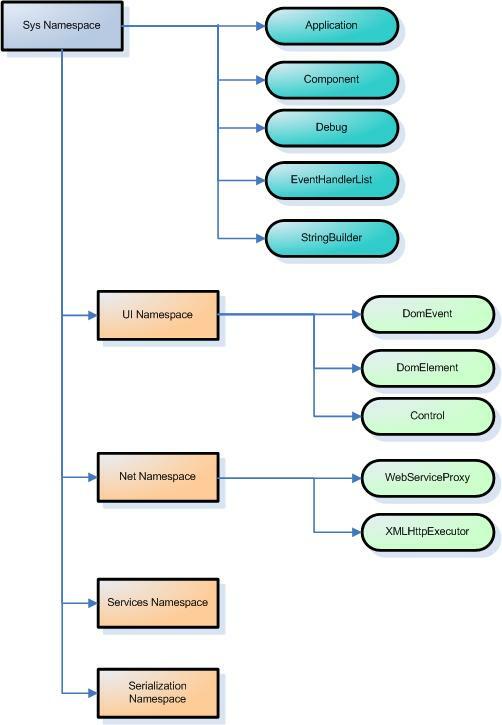 The important classes in the Sys.UI namespace are: DomEvent, DomElement, and Control. This is the base class for creating client-side custom controls. This contains the client-side classes to communicate with the server. You would want to communicate with the server if you want to call a web service there; or, if you are posting the data back to the server and want to get the results asynchronously. The Invoke method in this class can be used invoke a particular method from a particular webservice on the server and have a callback method interpret the returned results. For example, the AutoCompleteExtender uses following call to get the matches from the server as the user types in text into the autocomplete extender textbox. This class contains the piece of code that is the essence of AJAX – the open() method on the XMLHttpRequest which will call onreadystatechange once the server responds. The executeRequest method in the XMLHttpExecutor contains this iconic AJAX code that’s there in all the AJAX books. Ironically, with MS AJAX, you will never use this code directly. How are the client side JS files for MS AJAX organized?